No Ewoks In This Forest! 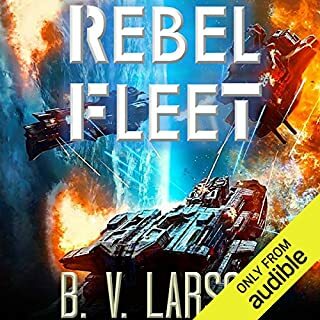 Now I've finished the fifth and currently last available part of B V Larson's Undying Mercenaries series I am hungry for more. I was lucky to have stumbled upon this series when it stood at five books and so could gorge myself on them all one right after the other. 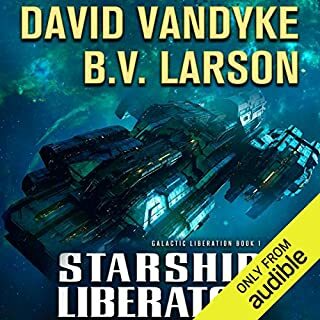 In order to satisfy my appetite for B V Larson work and looking for a big series to tide me over until part six of this series becomes available I've switched to the Star Force series and am reading the first book in that established saga. 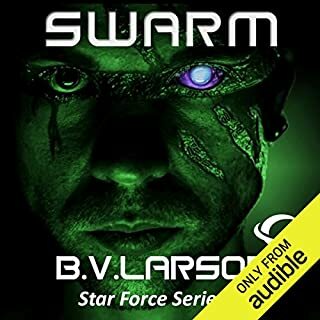 Prior to finding the Undying Mercenaries series I had not read anything by Larson but have now come to regard him as one of my favourite science fiction writers. based on the release schedules on his website I'm hoping that this prolific author will soon be delivering what I suspect might be called Throne World upon all those like me eagerly awaiting the next chapter in this excellent series. So, Death World sees our established group of characters once more in all kinds of trouble with a new alien threat and one that promises to have the potential to be more aggressive than even the Cephalopod Kingdom. Larson once more comes up with a novel and imaginative collection of nasties to do battle with as legion Varus gets into difficulties with the new threat. Unlike the previous three books, Death World takes a little longer to get going while family matters are dealt with. However, once the main plot kicks in the action is fast paced and holds the readers interest with Larson's usual aplomb. I enjoy the way Larson depicts an alien world with plenty of thought and detail that truly makes the planet an exotic and dangerous environment that fires one's imagination. James McGill as ever finds himself in the thick of things and bending the rules as he goes along. The fighting is hard and brutal and methods to achieve goals within the legion are often harsh too. Fortifying the military aspect of this story as with others in the series is the background political machinations of some key officers and other nefarious characters that all add to a immersive mix with some clever character developments as loyalties and ambition collide with the need to do the right thing. I hope that Larson creates a series of stories in the Undying Mercenaries novels that becomes as extensive as Larson's Star Force books. 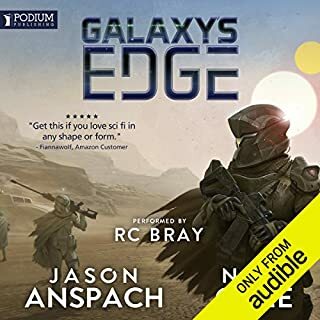 There is plenty of potential in the series to make for real space opera. I cannot say that I have read a series that has been so entertaining, enthralling and consistently good. As usual with my take on reviews, I need to point out a couple of errors in the story. Near the start of the book Dust World is referred to as Gamma Pavonis which is incorrect. Gamma Pavonis was Machine World. later, Centurion Graves is once referred to as Captain Graves. Again, very minor things but just something I had to mention and in no way is a detractor from the excellence of the story. Mark Boyett's narration is superb and has been consistently so throughout the series. he is able to clearly and distinctly render different characters which greatly enhance the story-telling. 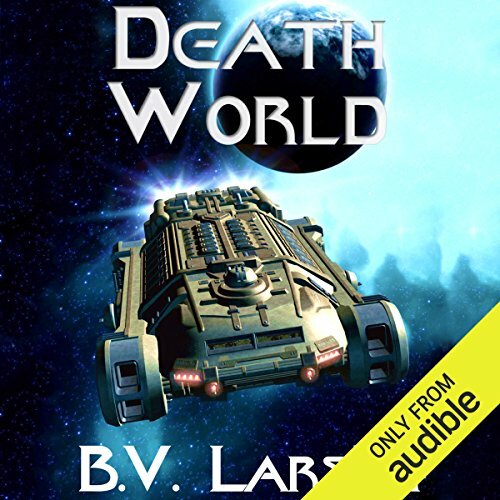 Death World is another great read from Larson which has left me wanting more and fast!! pulling out all the trick up his sleeves this time to fend off multiple enemies! more twist and double crossing then you can shake a stick at! 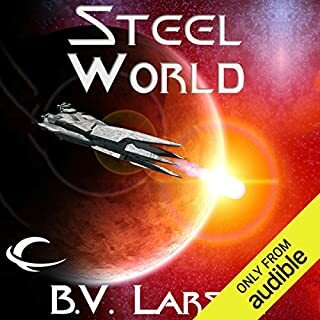 Great characters and story line, SiFi listeners will love all the ideas put here. This is my fifth book in this series and I am now waiting for the next in the series. Very enjoyable and always with a twist that you do not expect. Really enjoyable! This book was well read and the story line had some good twists, with a few surprising turns. 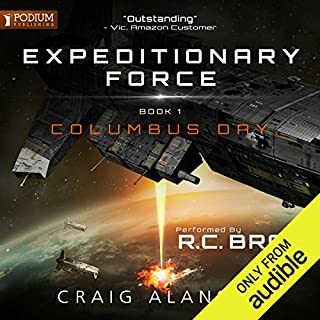 The Narrator is excellent, combined with a good story makes for a great experience. bring on the next book. Nice recovery from the last book. If you have made it this far in the series, you know what to expect. Though this is the only book so far to actively hint at the next book in the series. Looks like we are heading towards a big conclusion. This series has been a very entertaining one and I can not wait for the next book to come out. James McGill does it again with his trademark web o' bull and country smarts. Not the best book in the series in my opinion but sets up for further juicy adventures out in the dark unknown, still a must-read!